Step into a number of cocktail bars around the world these days and you'll be greeted with a list of spirits you probably never knew existed. Bacon Maker's Mark? Popcorn Goslings? Earl Gray Hendricks? Raspberry Tanqueray? Banana Jack Daniels? Welcome to the fun and experimental world of infusions. Infusions are, in a nutshell, the mixing of a flavour with a spirit. They can be done in a number of ways depending on the ingredient - either by simply soaking the ingredient in the spirit for a number of hours/days, or by fat washing, whereby the fat from the ingredient (say lamb, duck or bacon) is infused with the spirit. Once the infusing is done, usually all that's left to do is strain, bottle and enjoy! About a year ago I was at Gardel's Bar in Sydney (part of the excellent Porteño restaurant) and noticed they had a "Banana Old Fashioned" on the menu, made with Banana-infused Jack Daniels. Intrigued by the idea and blown away by the taste (and having a mostly-full bottle of JD at home), I was keen to give it a go. 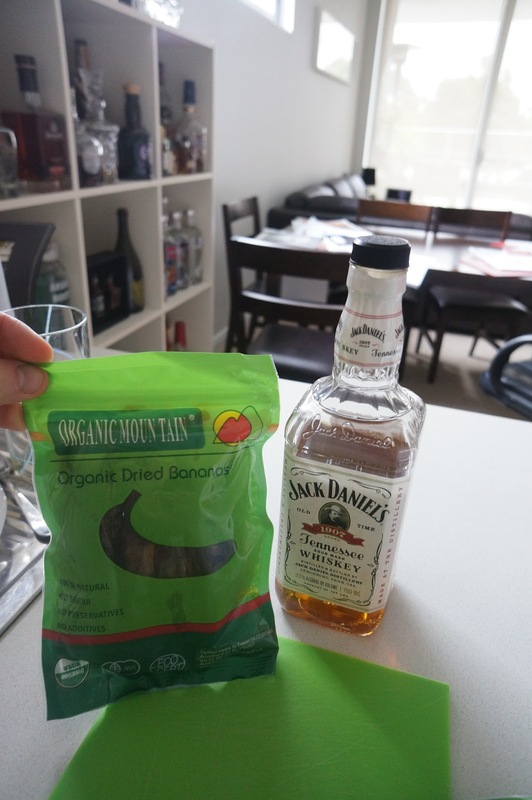 The bartender told me all I needed to do was soak some bananas in JD for a few days, strain it out, and I was good to go. 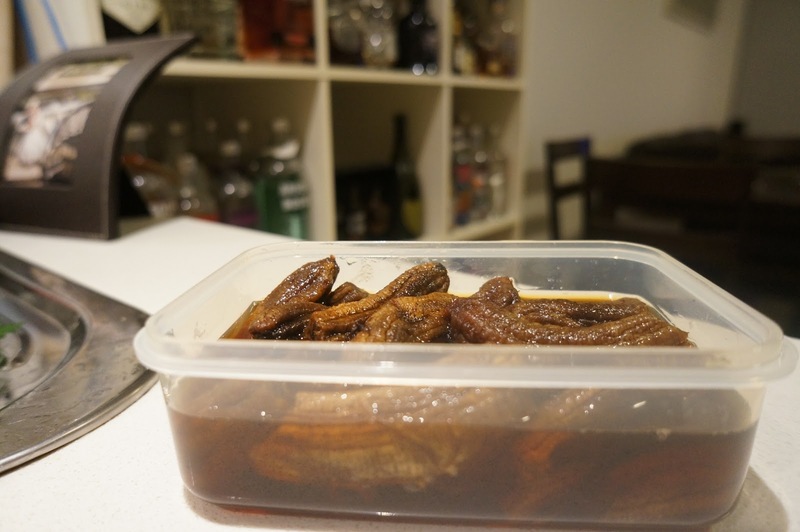 After 5 days, I ended up with some incredibly alcoholic bananas, and about 30mL of banana-infused JD. The bananas had soaked up pretty much all the JD, leaving me with practically nothing. Squeezing, mashing, straining the bananas did nothing but make a horrible mess either. I enjoyed the nip and resigned myself to the fact that the bananas had stolen my JD. Fast forward about 6 months, I was chatting to a bartender at Newtown's great little Corridor Bar, who told me the trick was to use dried organic bananas. Not banana chips, but dried whole bananas. I rang a few Sydney organic shops and tracked them down at Taste Organic in Crows Nest, NSW ("Organic Mountain" brand if anyone is interested). I cut them in half (each is about as big as an index finger), popped them in a container, poured JD over them (only 250mL at first, in case this attempt also failed) and let it sit for 5 days. I decided to use JD 1907 White Label, because it's about $10 cheaper than JD (good for if you're not too confident), and I figured the slightly lesser ABV (37%) might help the banana taste shine through. Success! After a taste test confirmed this was very much banana JD, I gave it a quick strain (first with a colander, then with and funnel and cheesecloth), then poured in back into the bottle. Repeating the process with the remaining 500mL, I had an (almost) full bottle about 4 days later (the bananas still soaked up about 20-25% of the JD). So - what to do with it now? I'd love to hear suggestions anyone has. Regular maple syrup with a few dashes of bitters seems to work pretty well, but I'm always open to ideas! How many dried bananas did you use? Used the whole packet from memory - 15-20ish or so I think? They're pretty small - about as big as an average index finger. Put it in a cocktail mixer with a bit of maple syrup, shake it up then pour over ice with lemon peel. Tastes awesome. It did go well with maple syrup...will have to try it with the lemon peel next time too, cheers!